Is your brand suffering from board-um? Find out how you could collect more. We design branded packaging that’s perfectly aligned with the direction your brand is going. 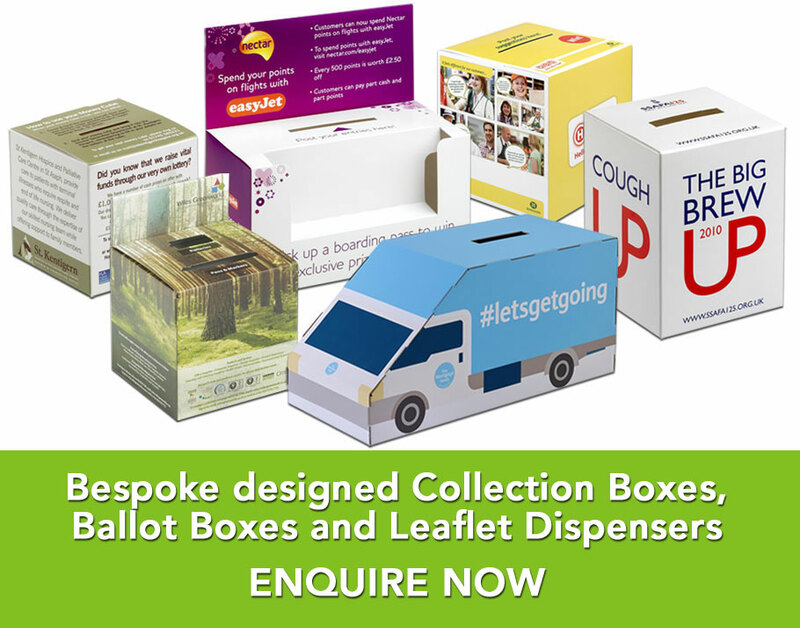 This month we picked our bespoke designed Collection boxes, Ballot boxes and Leaflet dispensers. Can you buy standard collection boxes cheaper? You’re bound to be able to. Are they aligned with your brand? Yours to debate. For hours, until you’re bored. When you use BoxcoUK you can expect an attention to detail that is second to none, helping you to build your brand presence and grow Sales.